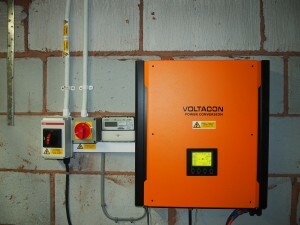 The surplus power (when the batteries are charged) is fed back to the grid for 14pence per kWh. 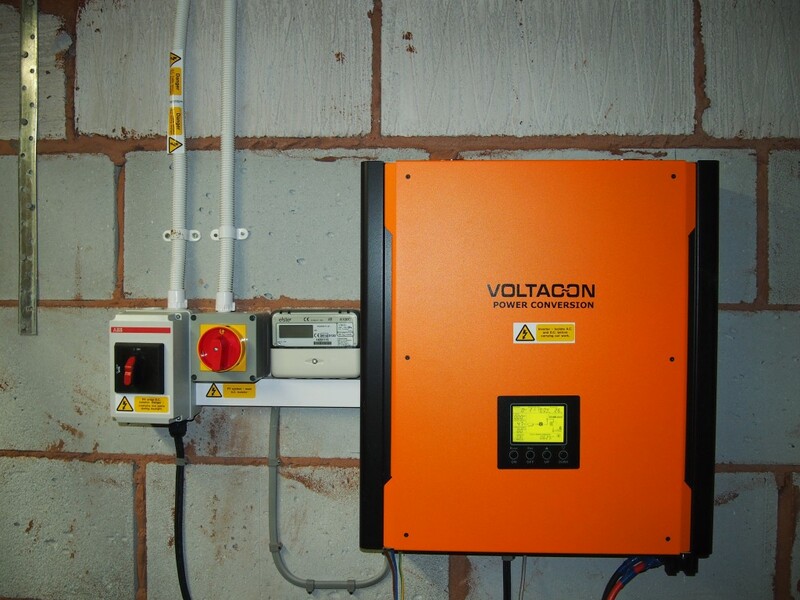 The inverter mounted on the wall of the garage with the feed in tariff meter. The inverters are compliant with European and British regulation for safety, electromagnetic compatibility and protection against island mode. In the present project the inverter operates in hybrid mode and charges the batteries only from the solar panels. However, it is capable of working in off-grid mode supplying electricity to critical load in the event of a grid loss. There is enough capacity to run the whole property off grid for approximately 24 hours. Thanks to LED lights supplied by Ledison Lighting, the total energy consumption keeping all the lights on is only 350watt.